The Webroot Community is Turning 5! 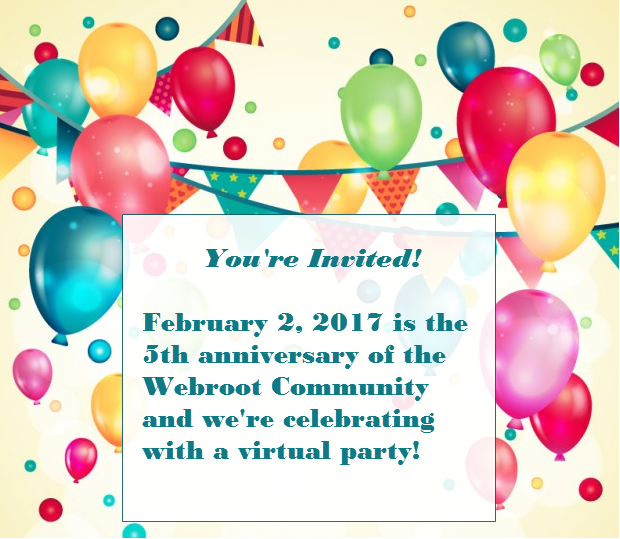 February 2, 2017 is the 5th anniversary of the official public launch of the Webroot Community! We are planning a virtual party that will take place all day on the 2nd, so please be sure to join us! Highlights of the Past 5 Years and More! We're excited to celebrate with all of you!